We all are familiar with the development of whales from terrestrial ancestors, whether or not you accept the theory of evolution. But are you aware that many different mammals made that same transition from a terrestrial to semi-aquatic or fully aquatic way of life? Sirenians (manatees and dugongs), Pinnipeds (seals and walruses), sloths (yes, sloths!) Mustelids (the sea otter and the sea mink), Ursids (the polar bear) and a number of fossil forms which have no direct living descendants (such as the amphicynodont Kolponomos) all returned to the sea.. This will be the first of a series of blog posts which will introduce you to these creatures, and present what we know of their evolutionary history. Probably everybody is familiar with the living tree sloths, of which there are 6 species in two genera. Many of you will know that the fossil relatives of the modern tree sloths were the very large, sometimes gigantic, ground sloths of South, Central and North America. The group evolved in South America, with representatives of two lineages making their way into Central and North America, probably by rafting, in the Miocene, but most of them arriving during the Pliocene and Pleistocene, beginning about 2-4 million years ago. Huge, slow moving, lumbering giants which are hard to imagine as an animal likely to take to the sea. In the late 1980s and early 1990s fossils of sloths began to be found in the near-shore marine Pisco formation in Peru. At first they were considered to be rare individuals of ground sloths which had died and been washed into the sea. But as field work progressed, it turned out that numerous skulls and complete skeletons were found. In 1995, in an important paper published in the prestigious journal Nature, authors Christian de Muizon, from the Institut Francais d'Etudes Andines and H. Gregory McDonald, then a paleontologist at Hagerman Fossil Beds National Monument in Idaho, described the first species of this new sloth, which they named Thalassocnos natans, meaning "the swimming sea-sloth". From several lines of evidence, including their abundance in near-shore marine deposits and the absence of any other terrestrial mammals in the deposits, as well as the fact that the coast of Peru was a desert during the Pliocene , they concluded that Thalassocnos lived along the shore and entered the sea to feed on vegetation, most likely the abundant sea-grasses and sea weeds, which are represented by fossil remains. The sea sloth is by far the most abundant mammal in the deposits exceeding the number of either seals or dolphins, both of which are very common. Between the original description in 1995 and 2005, four more species of Thalassocnos were described, making up what is most likely a single lineage of 5 ancestor - descendant species. The swimming sea-sloths are the most closely dated series of fossil species documenting the re-invasion of the sea by terrestrial mammals currently known. The skulls and jaws underwent a progression of changes as the muzzle, both upper and lower jaw, became better adapted to grazing on sea-grasses and seaweeds. Subsequent research focused on the postcranial skeleton has revealed evolutionary changes in the forelimb which better adapt the sea-sloth to a power stroke for swimming, as well as changes in bone density of all the bones to give the animal neutral buoyancy. Muizon, C. de and H. G. McDonald, 1995 An Aquatic Sloth from the Pliocene of Peru, Nature, Volume 375:224-227. McDonald, H. G. and C. de Muizon, 2002, The cranial anatomy of Thalassocnos natans (Xenarthra, Mammalia), a derived nothrothere from he Neogene of he Pisco Formation, Peru. Journal of Vertebrate Paleontology, 22(2)340-365. Muizon, C. de, H. G. McDonald, R. Salas and M. Urbina, 2003. A new early species of the aquatic sloth Thalassocnos (Mammalia, Xenarthra) from the Late Miocene of Peru. Journal of Vertebrate Paleontology, 23 (4): 886-894. Muizon, C. de, H. G. McDonald, R. Salas and M. Urbina, 2004. The youngest species of the aquatic sloth Thalassocnos and a reassesment of the relationships of the nothrothere sloths (Mammalia, Xenarthra). 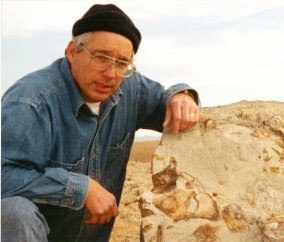 Journal of Vertebrate Paleontology, 24(2):387-397. Muizon, C. de, H. G. McDonald, R. Salas and M. Urbina, 2004. The evolution of feeding adaptations of the aquatic sloth Thalassocnos. Journal of Vertebrate Paleontology, 24(2):398-410. Canto J, R. Salas-Gismondi, M. Cozzuol, J. Yáñez, 2008. The aquatic sloth Thalassocnus (Mammalia, Xenarthra) from the late Miocene of north-central Chile: biogeographic and ecological implications. Journal of Vertebrate Paleontology, 28:918–922. Amson, E., C. Argot, H.G. McDonald and C. de Muizon, 2014. Osteology and functional forphology of the forelimb of the marine sloth Thalassocnos (Mammalia, Tardigrada). Journal of Mammalian Evolution 22(2):169-242. Amson E, C. de Muizon, M. Laurin, C. Argot, V. de Buffrénil, 2014. Gradual adaptation of bone structure to aquatic lifestyle in extinct sloths from Peru. Proc R Soc B 281:20140192.